I spent a little time in the garment district last week visiting my favorite fabric shops for a few items I needed. And while I was there I was thinking about you! 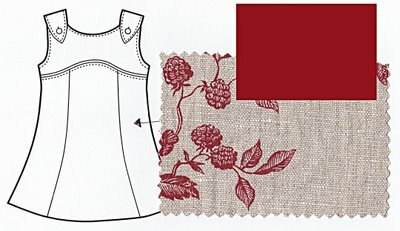 A Tea Party Sundress with cranberry red yoke and red toile printed on linen for the skirt. 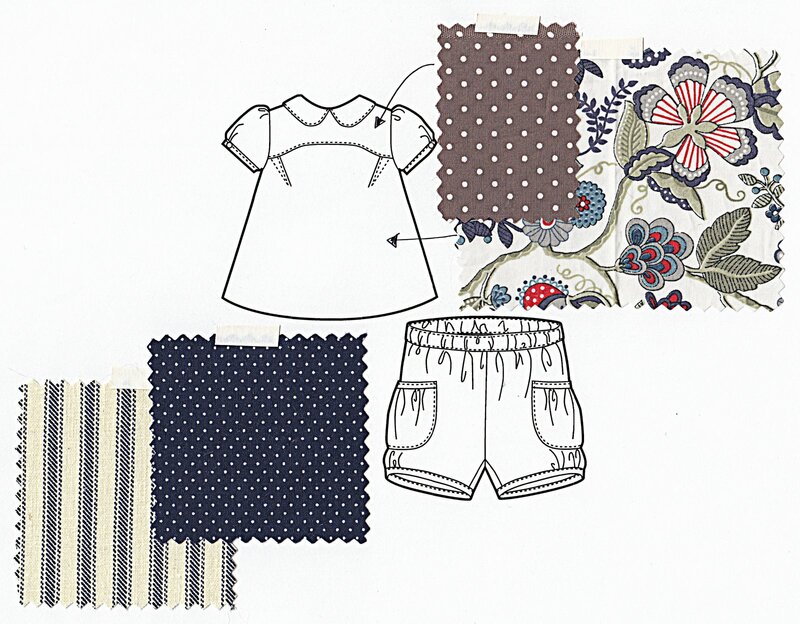 Two Swingset Tunics and Skirts made of a Liberty floral, two cotton shirtings, and a dark blue chambray. A Sailboat Top (pattern arriving very soon…) made of yarn-dyed cotton shirting, plus natural flax Sailboat Pants and a Japanese printed-canvas Sailboat Skirt. 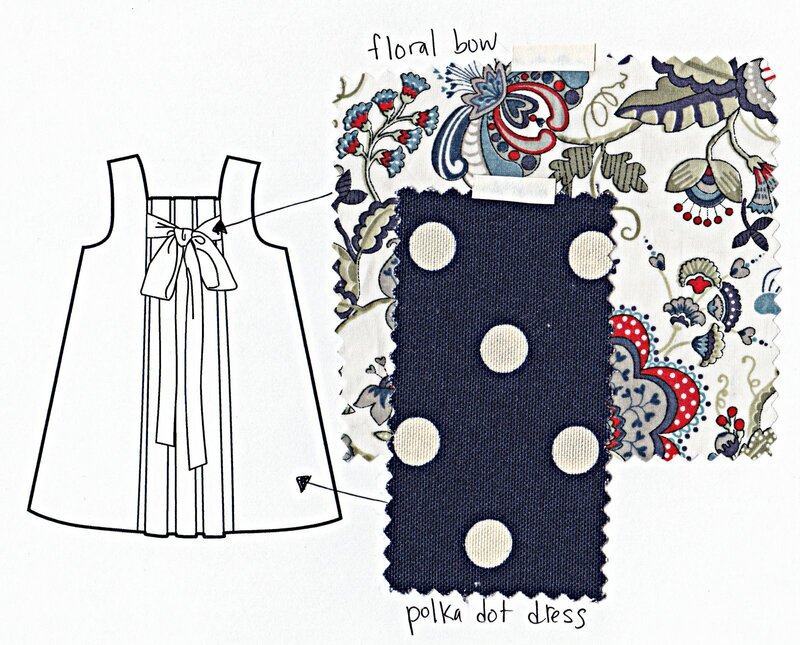 Puppet Show Tunic in a Liberty floral combined with a polka dot printed lawn for the yoke. And two versions of the Puppet Show Shorts (a favorite style of mine), one in polka dot cotton shirting and the other from a cotton mattress ticking. Bubble Dress in navy and white Liberty floral. 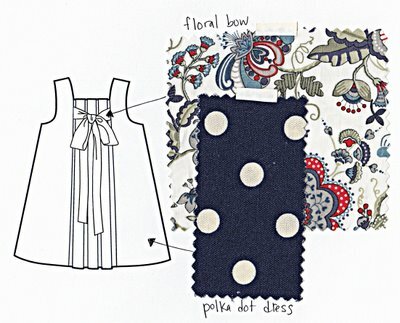 And the same Liberty floral used for the Puppet Show Tunic is used as the bow for the Birthday Party Dress (pattern also arriving very soon), combined with a bold navy and white polka dotted canvas for the body of the dress. 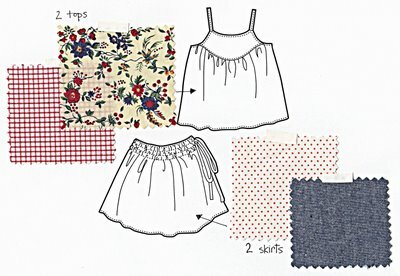 In all my planning, I completely forgot to include the 2+2 Blouse and Skirt, which would also be great for summer. The pattern includes a really cute short sleeve option. I’ll be making it for S this summer, even if it’s not part of our fantasy wardrobe shown here. I’d love to actually sew all these garments so we could play with the many outfits that might be created by mixing and matching the separates. For example, wouldn’t the Puppet Show Shorts look great with the Swingset Tunic? 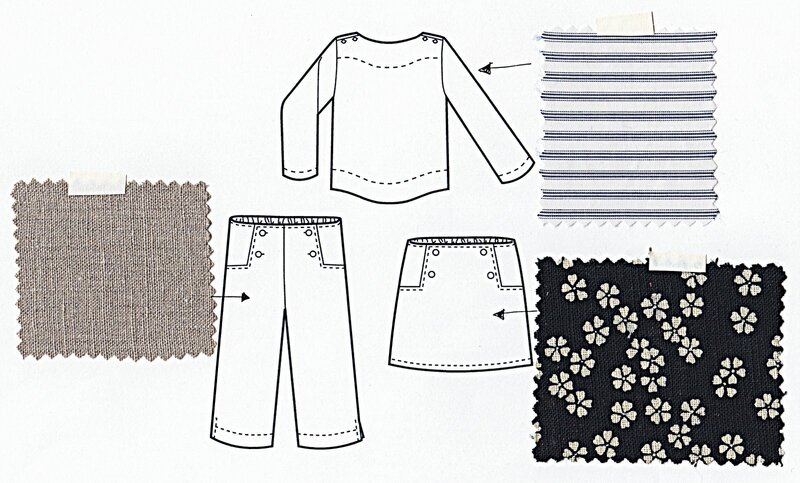 Or the Sailboat Pants or Skirt with the Puppet Show Tunic? In any case, if you’ve fallen in love with any of these fabrics, you can purchase them from the shops where I got them with just a phone call. 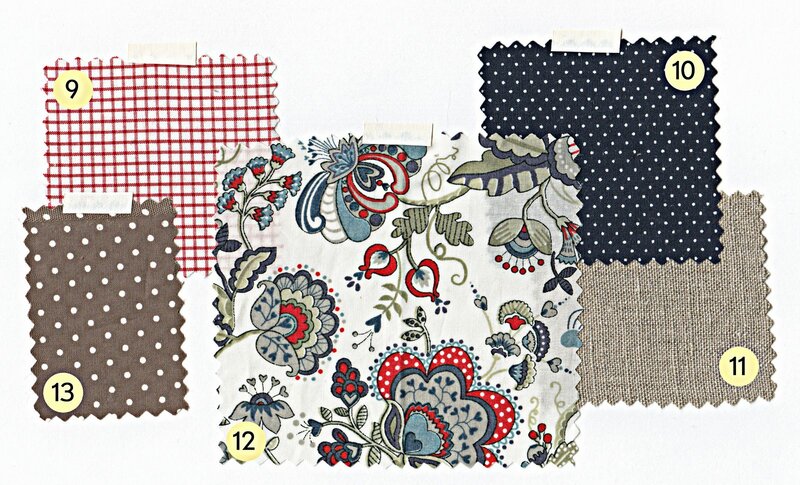 The following list will give you purchasing details for each of the fabrics. Match the numbered list below with the swatches at the beginning of the post and contact the shops directly if you want to order. 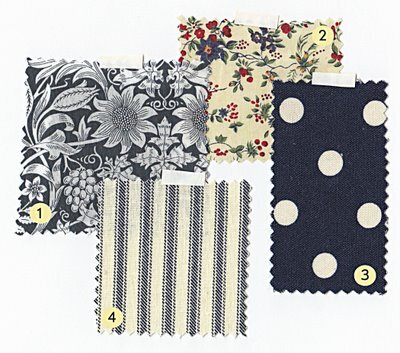 B&J; Fabrics, the source of most of the swatches, has amazing customer service and will happily ship you anything from the list as long as the fabric is still in stock. Please drop me a line or leave a comment to tell me if you order something from this list. If I know you’ve made use of the swatches, we can continue to do special posts and collections like this in the future. Have fun! Oh! I love that you included the fabric information for easy B&J; reference. I hope they're giving you royalties! 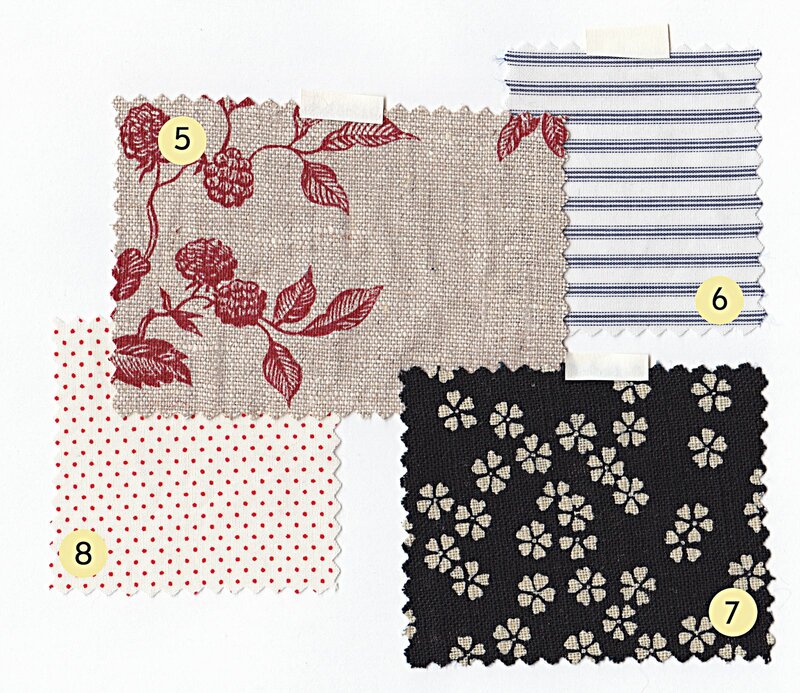 Is the #5 Linen Toile just raspberries? 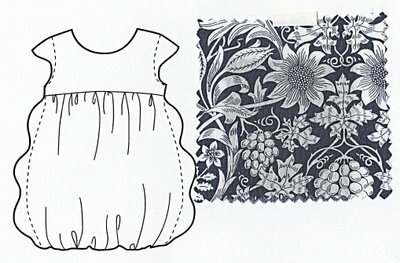 or are there other toile designs in the print? If it is just raspberries, that might be a must have for me. oh Liesl this is really brilliant! thank you so much! And B&J; is going to get lots of phone calls soon I have a feeling! 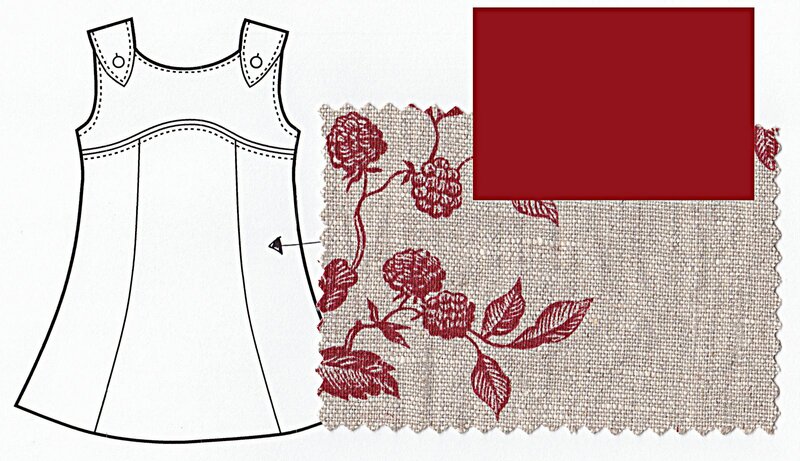 April, I think the toile has other images in addition to the raspberries. But you know B&J;: if you call them they can tell you for sure. Thanks SO much for taking the time to post these! 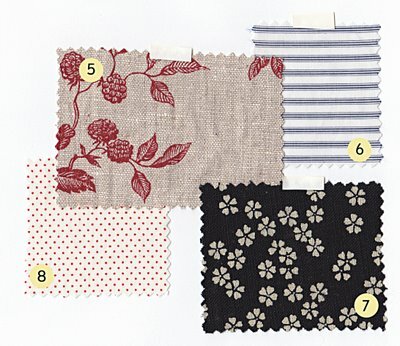 For those of us with less vision than yourself, it’s so great to see some ideas of how the fabrics could be combined with your patterns. And the contact information is so helpful – again, thank you!! Thank you for putting this collection together. It is quite helpful to visualize. If time permits, please keep doing it for upcoming seasons!